I bought this Bali Pop a few years ago and used it to make a Stacked Coin quilt. I just quilted it today with a new free hand design for me. I saw this design on Pieceful Kwilters blog and just fell in love with it. She calls it Topo quilting because it looks like topographic lines on a map and maybe that is what drew me to it as I majored in Geology in university. I actually had no idea what I was doing at first but I guess looking at all those maps many years ago must have stuck in my brain as this one came very naturally. Glad I pushed myself to try something new. 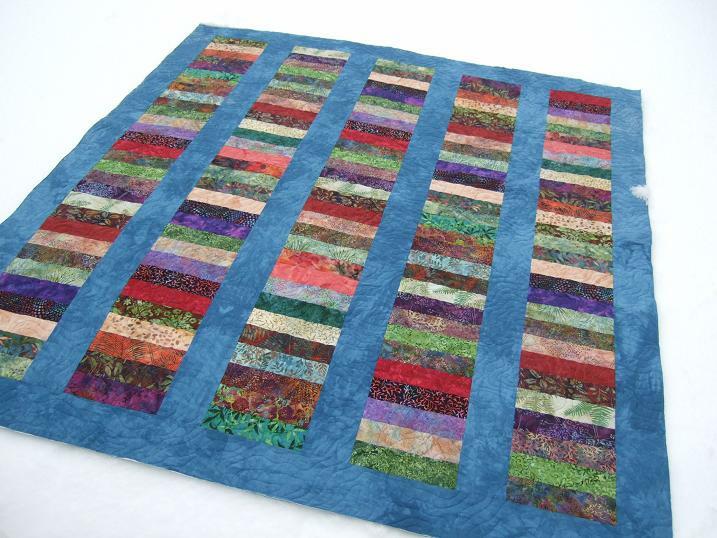 I used Rainbow varigated blue to purple on the top and light blue Bottom Line in the bobbin. 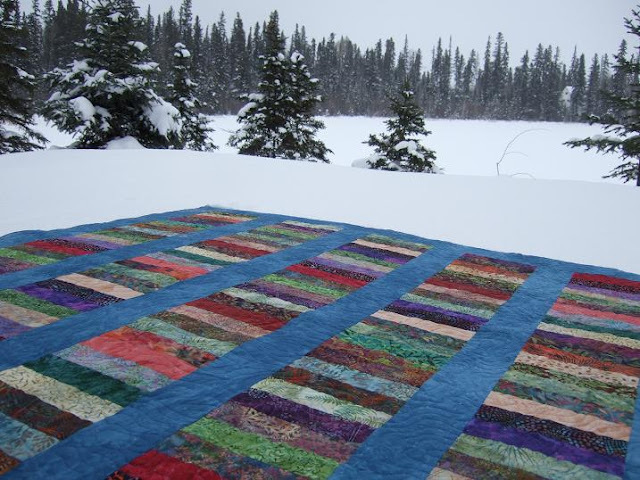 Snow dyed fabric for the backing. 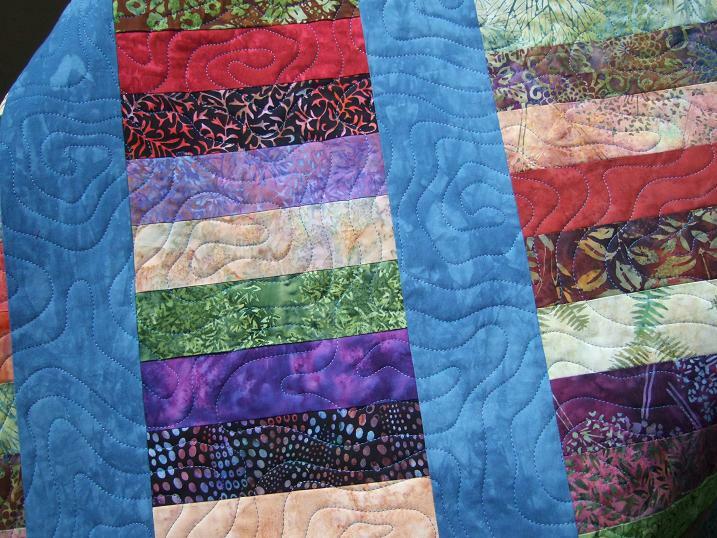 Think i'll make a scrappy binding for this one with all the left overs. The weather man says we are in for 25cm of snow tonight so I'm sure I'll find time to get the binding finished this weekend. 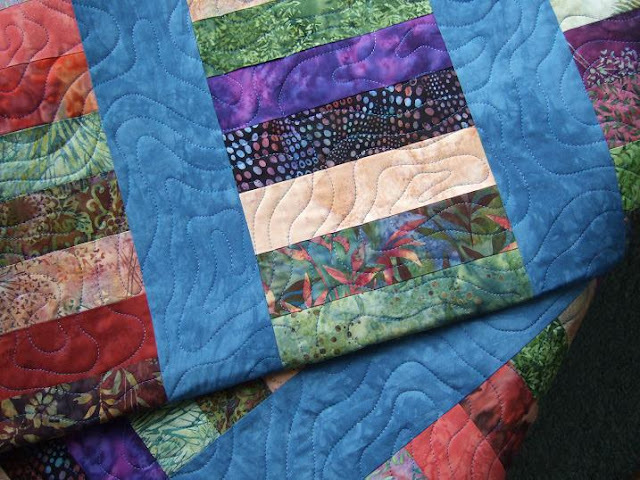 I love..love..love..that quilting design. Looks complicated though. I'll have to practice that one. 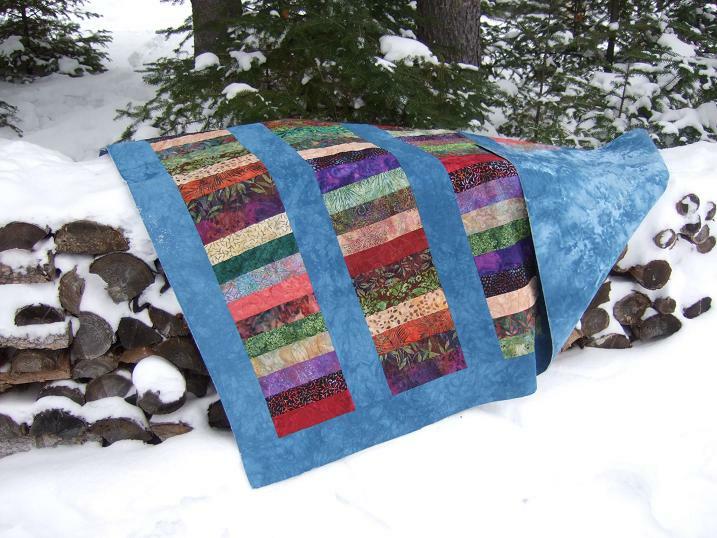 Pretty quilt with an interesting quilting design/idea that goes perfect with this quilt! Is this just one bali pop?